It was July 1965. I was eighteen and it was the week of the ATC summer camp, which was the best week of the year for any ATC cadet. Our squadron was at RAF Waddington. 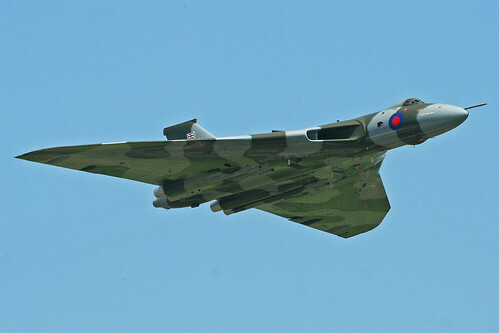 It was the height of the Cold War and Waddington was then a V Bomber station with Vulcan squadrons based there. Although the Cuban Missile Crisis had been more than two years before, it was nevertheless very much in the forefront of everyone’s thinking. We were excited, indeed privileged, to be on a station where the nuclear deterrent was on standby. The importance of security on the station was firmly impressed upon us; the fact that we all had to wear identity tags made us feel part of it, although, of course, we weren’t. However this wasn’t the most exciting thing I remember about my time at Waddington. The week began with the usual round of visits to the various sections on the station where the technicalities of running a V Bomber force were explained to us, as far as the Official Secrets Act allowed. Soon it was midweek and a warm summer’s day. 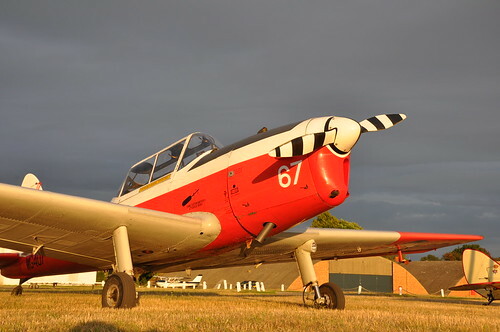 There were a couple of Chipmunks at Station Flight for air experience flights and after a while it was my turn for my thirty minutes. I recognised the pilot as a Flight Lieutenant who had shown us round his ‘office’ in the Vulcan the day before. accommodation and thirty hours flying which, then, was enough to qualify for a PPL, as long as you kept on your toes and the weather was reasonably favourable. The pilot noticed my Flying Scholarship wings badge and asked what I would like to do with my all-too-brief minutes in the air. 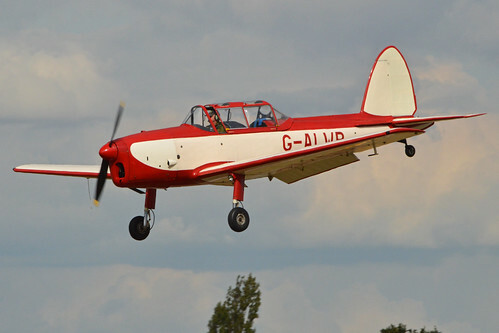 Wanting to make the best of my MoD-funded time on a Chipmunk by keeping up my landing skills, I said I’d like to do a few circuits. He said that was fine but as he didn’t have a QFI rating he couldn’t let me fly from the front seat. 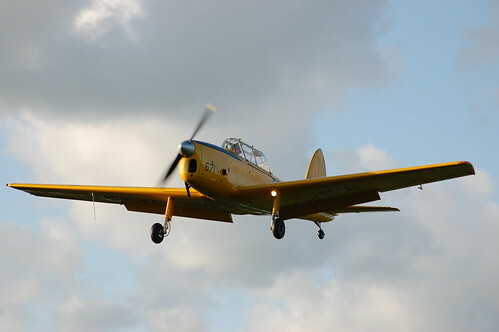 However, he said, “I’ll deal with the radio, you fly the plane, let’s go.” I waddled out to the aircraft with a parachute strapped to my backside and climbed into the back seat. While I was getting strapped in he ensured that I knew the essential numbers and gave me some brief words of advice. All went fine for the first couple of circuits and a touch-and-go took us into the third one. I was feeling a bit smug as we joined the downwind leg. I was vaguely aware of the Air Traffic Controller saying something about a Vulcan on a straight-in approach for a touch-and-go but I wasn’t really listening. I was concentrating on the downwind checks. The pilot asked me if I could see the Vulcan. It was below and to the left, on a reciprocal track. I thought he was ensuring I didn’t miss the spectacle, but maybe he was dropping a strong hint. Maybe he was hoping I would extend the downwind leg to give a bit more separation between us and the Vulcan... Meanwhile, I was focussed on lining up the Chippie for the landing. The pilot obligingly leaned over to one side so I could peer over his right shoulder to get a better view of the runway ahead. I had just turned on to final when, to my great surprise and consternation, the Chipmunk reared up like a spooked horse. “I have control”, called the pilot and he immediately got us back on an even keel, which was just as well as we were at about 500ft and probably a second or two away from a full-blown stall. 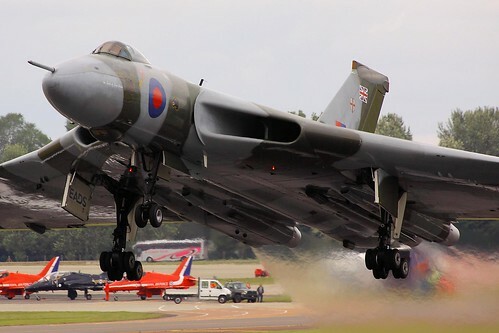 The Vulcan meanwhile continued its touch-and-go and lifted off, disappearing in a cloud of black smoke as he increased the power. I can’t remember whether we landed or did a go-around. I do recall that I felt particularly stupid not to have realised the dangers of the wake vortex from the mighty Vulcan. They hadn’t thought to mention wake turbulence when I was on my Flying Scholarship at Perth, where the largest aircraft in the circuit was a Cessna 310 and the runways were grass. Maybe they didn’t know about it. I didn’t make my career in aviation but I fly light aircraft at the local airfield. Fifty years later, a talk at a club night at the flying club seriously challenged my assumptions as to what really happened that day, and made me reassess the whole episode. A retired test pilot had just given a fascinating talk to club members about some of his more interesting airborne experiences. He had been involved during the mid-1960s in a detailed investigation into the effects of wake turbulence. He described how he had narrowly escaped a sticky end in a two-seat fast jet which was thrown 180 degrees over on to its back while following a large transport aircraft coming in to land. The result was a serious contact with the tarmac in an inverted condition. Both pilots were lucky to get away with their lives, and the other crew member sustained injuries which, although not life threatening, blighted the rest of his career. 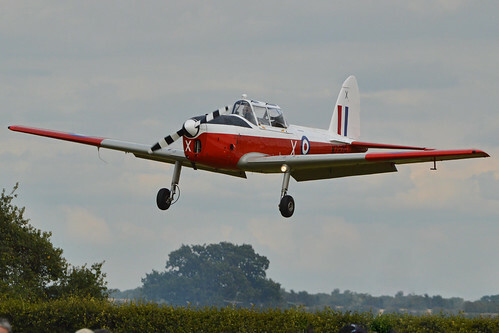 I told him the story of my circuits in the Chipmunk at Waddington. I suggested that the pilot had been well aware of the consequences of approaching to land a minute or two behind the Vulcan and had wanted to give me a graphic demonstration, thereby teaching me a lesson I wouldn’t forget. The test pilot’s view was that it was highly unlikely my pilot was expecting such a violent outcome, as wake turbulence was only being fully researched at that time. So not only did I learn about flying from my ATC air experience flight at Waddington, but the Vulcan pilot in the Chipmunk probably did too! Check out the safety section of our website for more ILAFFT and other content that will help keep your knowledge up to date!